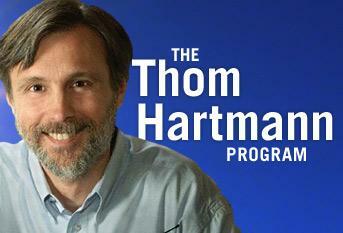 Thom Hartmann is a progressive national and internationally syndicated talkshow host. He’s the New York Times bestselling, 4-times Project Censored Award winning author of 24 books in print in 17 languages on five continents. Thom Hartmann was named as the 8th most important talk show host in America in 2011, 2012, and 2013 (10th the two previous years), and for three of the past five years the #1 most important progressive host.